Six premium quality Ecosure 4 Drum Spill Pallets for a bargain price! 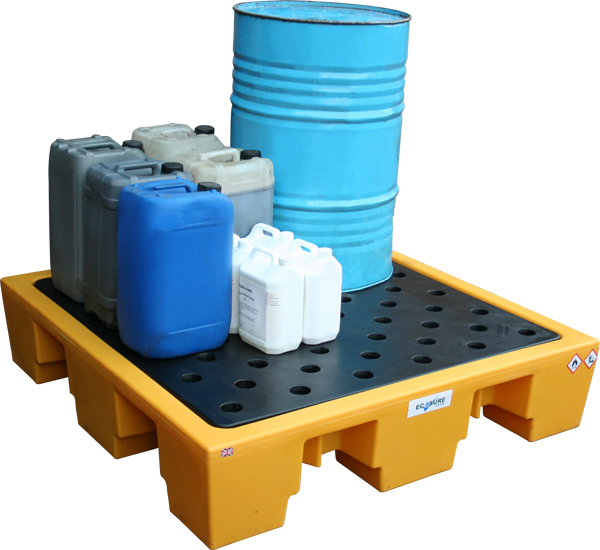 These spill pallets help you to comply with the current oil and chemical storage regulations by protecting personel, the workplace and the environment from leaks and spills. Specially constructed to support heavy loads, each one is ideal for the long term safe storage of 4 standard 205 litre drums. Made entirely from polyethylene, they are suitable for use with all oils and most non-combustible chemicals. This premium product has a rotationally moulded grid manufactured from the same high quality, UV stabilised MDPE as the sump. It is fully removable for ease of cleaning and allows the bund to be emptied as and when necessary. If you're storing 25 litre of any fluid other than water, it must be kept in a bunded area, e.g. 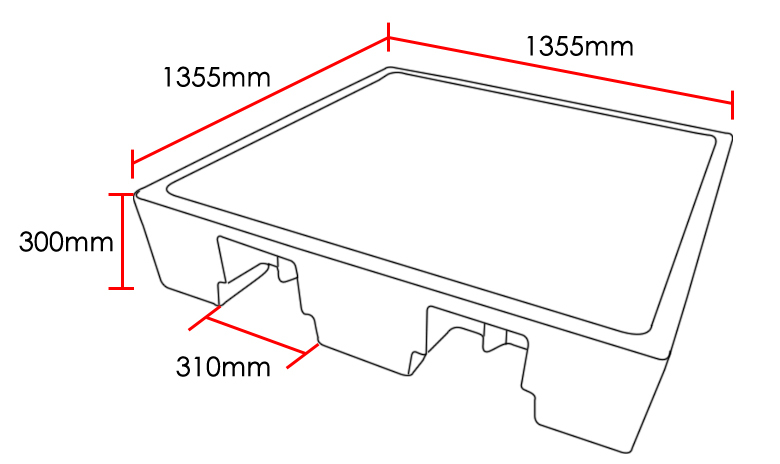 on a bund pallet or bunded tank. This to prevent the stored liquid contaminating the surrounding area.